Scotch Pine, otherwise known as Pinus sylvestris, is a conifer tree that produces an essential oil that smells pure, fresh, and clean. In ancient times, people would make mattresses that have loads of pine tree needles to ward off bed bugs, fleas, and lice. They also use crude pine resin to create rosin, which gives a violinist’s bow the right “stick.” Scotch pine is also valuable for its wood, pitch, and tar that are used in building houses and establishments. 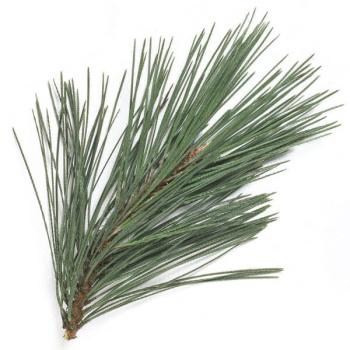 Scotch pine also has unique aroma that is great to add when making beauty products, soaps, laundry powder, fabric conditioner, air freshener, bath gel, shampoo, and the like. Scotch Pine Essential Oil, when used in aromatherapy, provides an uplifting aura and gives off positive vibes. It can alleviate the feeling of being wasted and sore. It eliminates worry and gives hope. It clears the air of any negative mood. It has medicinal properties thus some pain relievers and cough remedy have Scotch pine component. This essential oil also enhances flavor of food and drinks that’s why it can be used in cooking or preparation of pastries, sodas, ice creams, jello, sodas, or even alcoholic drinks. To repel annoying insects and pests from clothes and wool jackets, put 10 drops of Scotch pine oil to untreated wood chips and scatter them in cabinets and drawers. To make your own air freshener to instantly deodorize and clear your air of foul odors such as rancid food or cigarette smoke, mix 4 drops of Scotch pine oil with 1 cup of water and put it in a mist bottle. Remember not to spray on furniture because it may leave some stains. It also works well as massage oil to relax sore muscles and relieve muscle pains and spasms. Combine 3 drops of Scotch pine oil, 3 drops rosemary oil, and 3 drops juniper berry oil and 2 oz of jojoba oil. In order to decongest your sinuses during the winter months, use the steam inhalation method. Mix together 2 drops Scotch pine oil, 2 drops lemon oil, 1 drop rosemary oil, 2 drops marjoram oil, 1 drop thyme oil, and 2 drops eucalyptus oil. Add the mixture to freshly boiled water and inhale the steam. To maximize its effect, cover your head with towel while inhaling. Get Your Scotch Pine Essential Oil Now! Out of all of the various oils that we have tried in our vaporizer this pine essential oil is the favorite. I hate the smell of pine-sol, but this oil is nothing like that. This has a subtle pine scent like a pine tree, but not too strong or overwhelming.